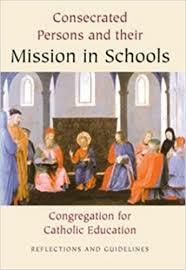 Catholic school leadership is a demanding and daring ministry that requires particular support for professional learning and growth. The Emmaus Series is a one-of-a-kind 20-month leadership development program offering executive-level training on Catholic school improvement. Participants sharpen their knowledge of systems thinking, spiritual leadership, curriculum and instruction, and operational vitality at the intersection of Catholic theology, educational research, and professional practice. The application period for the 2019 Cohort continues until end of February. For more information regarding the program, please visit our website at www.emmausseries.org or contact Fabiola Aguilera at fabiola.aguilera@bc.edu. Thank you for your leadership in Catholic education!